Hello Rocky Mount! Unlimited Professional Services provides professional striping, pavement marking services and repair to give your Rocky mount, NC property an awesome first impression that will impress your customers while providing ADA-compliant and safe parking areas. Our striping professionals use high quality tools and equipment and only the highest quality traffic marking points. All surfaces on your parking lot are carefully prepared to facilitate the best adhesion. Rocky Mount NC is a great place to live and visit. It has around 200,ooo residents and millions of people visit Rocky Mount every year. For things to do people go to the Tar River Trail, the Stonewall manor or watch Civil War reenactments. If you like art there are plenty of art exhibits. You’ll also find music festivals, barbeques and museums in and around Rocky Mount. Whatever you like to do, you can find it in Rocky Mount NC. We are line striping contractors in Rocky Mount NC who are proud of every single line striping job we have done. 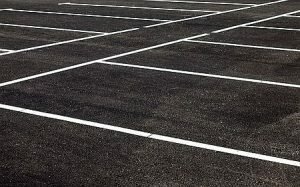 Our parking lot striping services were created to make any parking space safe and easy to navigate. And our affordable rates are structured to offer customers like you great value. Our crew members are highly knowledgeable with how parking lots are built, which helps them provide precise paint striping on parking lots. We are focused on serving your needs by offering quality striping services, regardless how small or big your parking lot happens to be. Our team is courteous and simple to work with and we make scheduling simple as can be. Plus, we provide a number of parking lot services to suit your needs. Sealcoating applied to an asphalt parking area In Rocky Mount NC provides an effective barrier or seal between the elements above the sealcoating and the asphalt surface below it. Below the surface the sealcoating stays on the moist side which makes it pliable and as a result, resistant to cracking. Unlimited Professional Services offers sealcoating services to asphalt parking lots in the Triangle region of North Carolina. We provide sealcoating parking lot services to commercial and industrial customers, and we specialize in sealcoating parking lots and commercial driveways. To put it simply, Unlimited Professional Services is focused on excellence in the repair and care of concrete and asphalt. Our expertise in the Rocky Mount NC region gives us a distinct advantage in Rocky Mount and allows us to provide various associated services all while providing the highest standard of excellence accessible. With the demanding standards and specifications of the industry as it stands today, Unlimited Professional Services complies with the city and state regulations as needed to ensure the best outcomes for your own job. Our customers satisfaction is our primary concern. We’ll make sure your parking lot is in conformity with today’s local ADA codes. 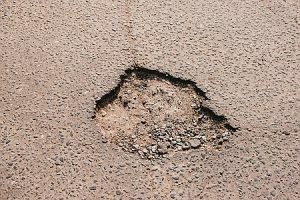 When your asphalt is properly maintained it will last for many years. Every parking lot job we undertake at Unlimited Professional Services is done while keeping all of the applicable rules and regulation in mind and that’s why signage and wheel stops are taken seriously by all of our associates. When you hire us for a job, we’ll provide bright, durable traffic markings that dry quickly and last a long time. This helps facilitate a better and efficient traffic flow as well as keeping cars and pedestrians safer. As a full service provider of parking lot striping and maintenance, we can also paint wheel stops & various concrete barriers in various lengths and styles to match your aesthetic and safety needs. Well marked, visible parking and walkway places guide pedestrian and motorist movement while on your property. The security of everyone on your property is important, which is why it is necessary to adhere to regulations regarding the identifying color, spacing and patterns as put forth by the National, State and Local laws and regulations. The federal law, the Americans with Disabilities Act (ADA), clearly indicates parking requirements for designated disabled people and these rules are particularly important to be familiar with and adhere to. It’s hard to ever truly be ready for a snowstorm, especially down here in the south where we just aren’t all that use to it. As beautiful as a nice snow is, it can and usually does cause so many different problems. If you need to get your parking lot and Rocky Mount storefront areas cleared of snow so that you can open up, we’ve got you covered. If you’ve ever gone out and tried to remove all of the snow yourself, you know just how much hard work and how much of a lost cause it can be. We can get you cleaned up and ready to go in a very reasonable amount of time! So, when you’re snowed in and need help, call Unlimited Professional Services!